MultiShop is a Premium and Powerful WooCommerce WordPress Theme for shopping online stores. MultiShop will make your online store look more impressive and attractive to viewers. Help increase high conversation rate to buy product with your customers so quickly. This theme is suited for a lot of eCommerce website such as fashion store, furniture shop, clothes eCommerce, tools retail, equipments, accessories, fashion, electronic, etc. 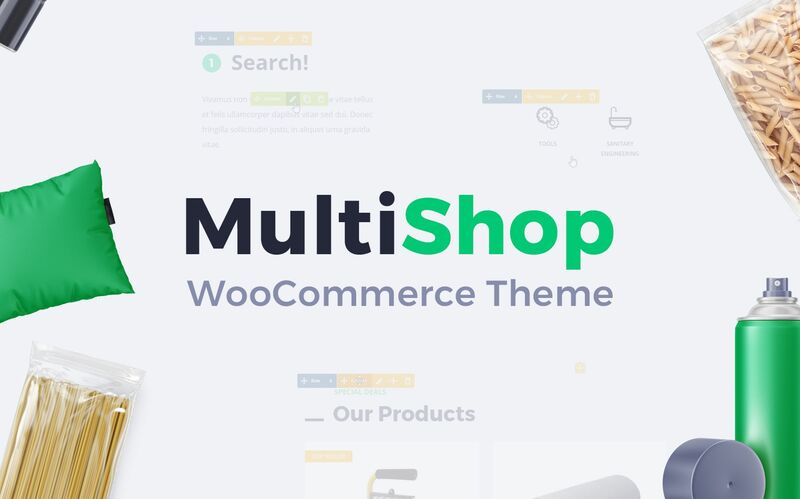 MultiShop is a professional eCommerce Store, which comes with a lot of features and variations: Responsive Layout, Mega Menu, Page Builder, Awesome Slider Revolution, Product Quick View, Easy One Click To Install, ... and so much more. MultiShop can be used for selling almost anything - electronics, clothing shop, auto, jewelry, shopping digital, gadgets and other. MultiShop will help you create a perfect online store without coding knowledge, as all settings and other theme elements are quite straightforward and intuitive. It’s a great choice to sell all goods such as sportswear shop, shoes store, sports clothes, gifts, watches store and more. Theme designs accentuate the refined style of goods sold. This has been our first experience using a Template Monster template, and so far found the experience to be quite a pleasant one. We have found template files easy to modify for our needs and my developer has had no issues customising the template to suit our needs. I highly reccomend this template to anyone wanting a full featured WooCommerce template which is easily customisable and feature packed.